Historic coffee destination announced – Setting sail for Salvador de Bahia! The 13th edition of the Transat Jacques Vabre will kick off on Saturday, October 28, 2017, around the Bassin Paul Vatine (marina) in Le Havre, for a week of festivities that will mark the 500th anniversary of this maritime city. On Sunday, November 5, 2017, the competing skippers will cross the starting line of the longest transatlantic route to a legendary coffee port, Salvador in the state of Bahia in Brazil. Salvador is the capital of the Bahia region, north of Rio. It is a city with an active port because of its position and easy access to the Bay of All Saints, the largest natural bay on the South American coast and the second largest in the world. 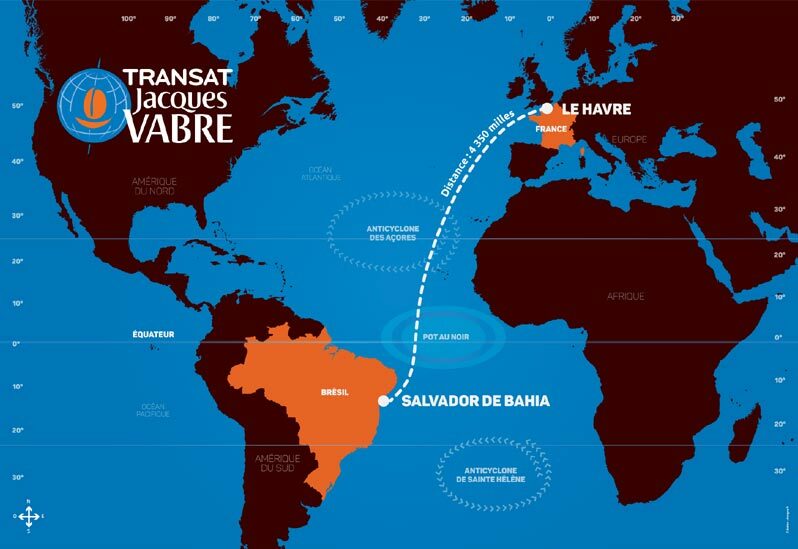 The Transat Jacques Vabre will be welcomed at the foot of the Pelourinho, an historic quarter registered as a UNESCO world heritage site, in the port of Salvador. “The 2017 edition of the Transat Jacques Vabre marks the return to an historic and iconic coffee region, which has already hosted several finishes of the race, and celebrated in the style the winners of our ‘Route du café’ from 2001 to 2007.“ Xavier Mitjavila, President of JDE France and the Transat Jacques Vabre organisation. „In 2017, the Transat Jacques Vabre will once again be an unmissable event for all Havrais (the people of Le Havre), who have held this race close their hearts for over 20 years. It will close the festivities of the “A Summer in Le Havre, 2017” event, running from May 27 to November 5 and organised to celebrate our 500th anniversary. We invite all inquisitive travellers to (re) discover our city and its port through a rich, festive, multidisciplinary and multifaceted programme. In 2017, it is Le Havre and nowhere else that is the place to be.” Edouard Philippe, Mayor of Le Havre and Député (elected representative) of the Seine-Maritime department. 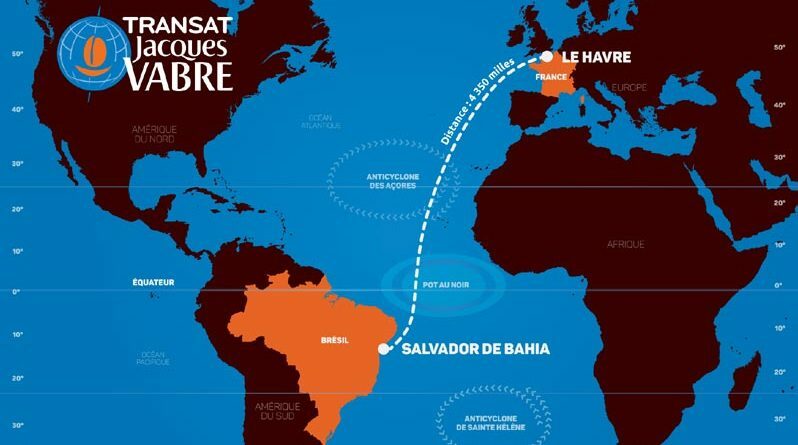 After a week of festivities around the marina, the competitors of the 13th edition of the Transat Jacques Vabre will leave Le Havre and head out towards the coffee port of Bahia (Brazil). 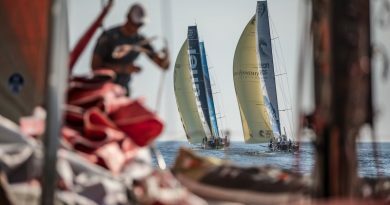 After passing in front of the cliffs of Etretat, the competitors will take a direct route towards the Brazilian port – after having crossed the Doldrums. “This transoceanic course from North to South is more demanding than a East to West transat, it requires the skippers to have sharp strategic and tactical qualities, good meteorological training, excellent physical conditioning to maintain top speed in the trade winds…and also a lot of patience to cross the Equator. Lying at 12°56’ South, Salvador de Bahia is in the tropics, it’s hot, but not too hot thanks to the trade winds, which is the dream for the sailors, who’ll finally be able to unwind after all the days of stress spent at sea.” Sylvie Viant, Race Director of the Transat Jacques Vabre. 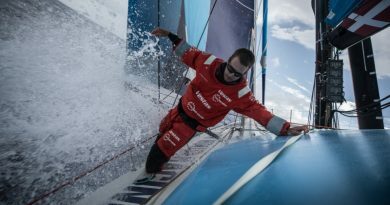 Class40, Multi50, Imoca and Ultime boats are expected on the starting line off Le Havre. Each class will see its winning duo and those chasing welcomed and celebrated to the sounds of samba and Brazilian rhythms.